Beer is often described as "liquid bread” — harkening the days of the ancient pyramids when beer was the fuel that kept thousands of workers stacking stones in the desert. The combination of carbohydrates, proteins, and of course a moderate amount of alcohol, is a powerful adversary for some of life’s greatest miseries. 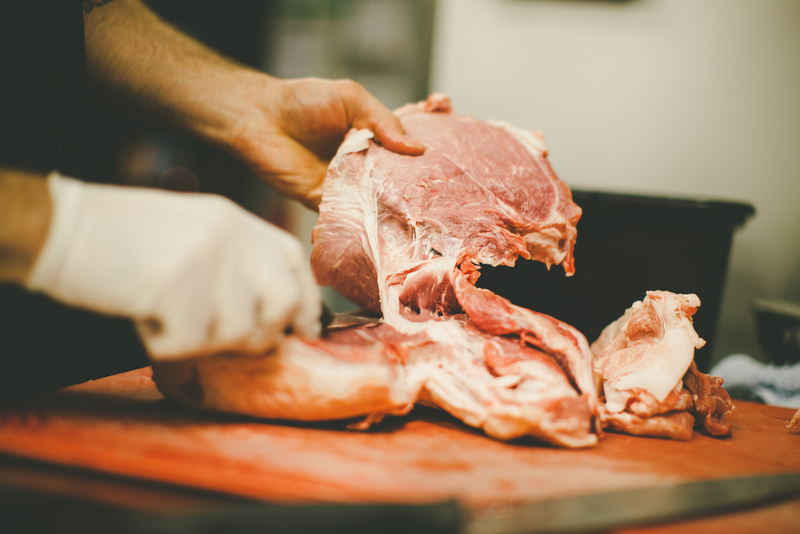 So it’s no surprise that many of the foods we’re accustomed to eating alongside beer are of the same “comfort food” caliber — plenty of meat, cheese, and bread (in solid form). But even in the beer and cheese capital of the country, Milwaukee, Wisconsin, brewers and chefs are attempting to build a different kind of monument to great taste — and it’s no more visible than in the Hinterland Erie Street gastropub in Milwaukee’s Third Ward neighborhood. Hardly a new concept, the “gastropub” term is used to classify anything from upscale bar food to high-concept eateries across the county, usually backed by an exceptional beer list or brewpub. Few, however, attain much more than a few trendy dishes, ultimately retreating to a fancy burger when the populace casts their final economic and culinary votes (not that there’s anything wrong with that). But Hinterland Brewery in Green Bay was founded as a brewery and restaurant from the beginning, always intending for the beer to serve the dining experience. Throughout the life of the business, each side has had their chance to shine — the brewery itself has gone through slow and growth phases alongside the original restaurant. And in recent years, distribution has introduced some of Hinterland’s best beers to markets like Chicago — the Luna Coffee Stout and Saison are of particular note. However, it wasn’t until I visited the new Milwaukee gastropub that I truly understood the context for the brewing and culinary vision of Hinterland — and it’s far from a brat stop. Farm-to-table is a default approach for Van Rite as it is for so many in this region, and over the years he’s embraced many new sources from every corner of the state, finding it difficult to say “no" to any farmer who walks in the door. Van Rite’s openness to producers means that he procures amazing game, foraged mushrooms, and heirloom produce, much of which he butchers, cures, and pickles himself. Between the freshness of certain dishes, and the fermentation of others, the menu strikes a balance between seasonal and timeless, delicate and rustic. The craft beer shift in America has changed Van Rite’s approach forever. With both a successful brewery and restaurants in Green Bay, Milwaukee and Door County, there’s now a Hinterland system in place where the beer and food are coming together. The team is even planning to introduce a number of dishes and packaged goods such as mustards, vinegars, and desserts. “I’m trying to get the roasted barley for a dessert right now,” says Van Rite. “And we’re going to use wort for different vinegars and sell it in bottles. Our Cherry Wheat beer is great for that, but it takes time. 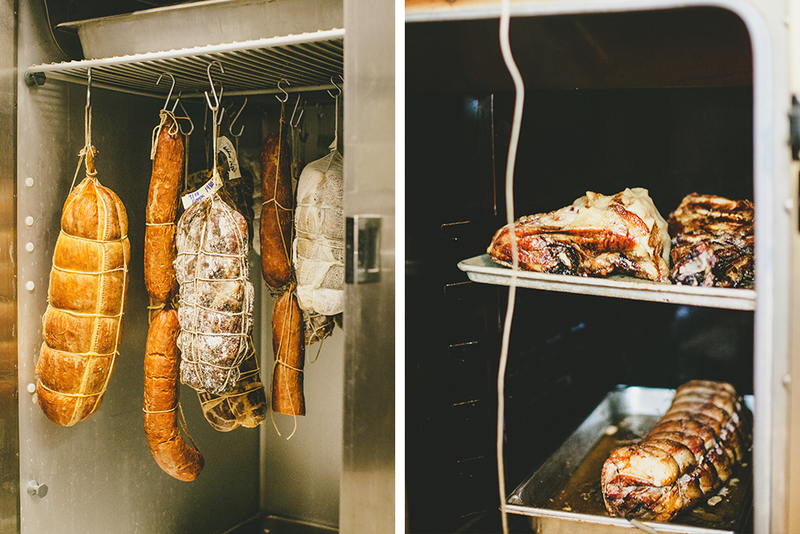 We’ve been crafting that for over a year now.” He also plans to make a wort syrup for his pork belly and bacon dishes, package and sell sausages, sauerkraut, and his pale ale bratwurst and stout hams. “Anything we can make in house, handcrafted, we want to be able to sell,” he says. 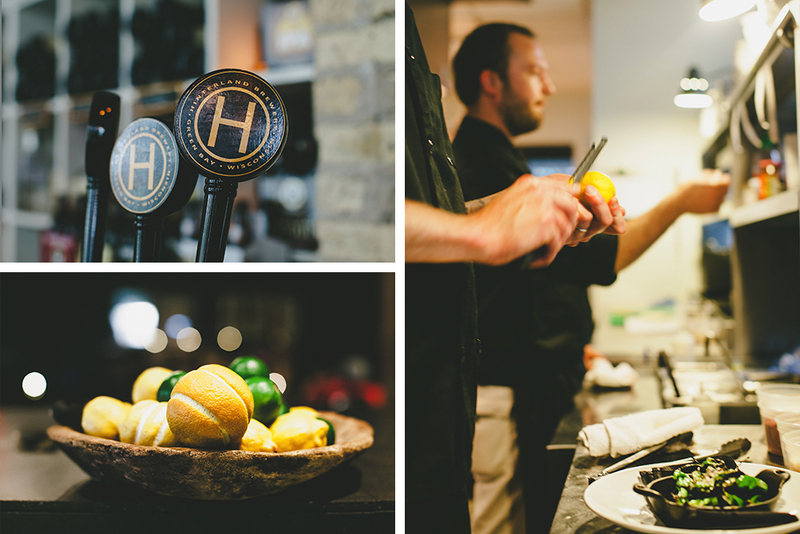 Hinterland's adaptation from a sleepy, snowed-in brewery in Green Bay to multi-state production brewery and multi-restaurant operation on the culinary cutting edge of Wisconsin has been nothing short of impressive. Exploring the menu and charting the trajectory of the business with Van Rite speaks to an optimistic and ambitious Midwestern spirit that's helping re-establish small cities like Milwaukee as cultural destinations throughout the region. And then a beer trolley went by. But they always will. This year, Van Rite is looking forward to Hinterland re-establishing their chef’s collaborative beer dinner series as well. On February 24th in Milwaukee, you’ll be able to taste beer and food pairings developed by five different brewers and five different chefs from all around the region. So far, chef participants include Sanford, Blue Jacket, Goodkind, and beer from Three Floyds, Dogfish Head, Central Waters, and Founders.